The UNAIDS World AIDS Day Report for 2012 reveals significant progress in preventing and treating HIV/AIDS in the past two years. The number of people accessing life-saving treatment rose by 60 per cent and new infections have fallen by half in 25 countries – 13 of them in sub-Saharan Africa. 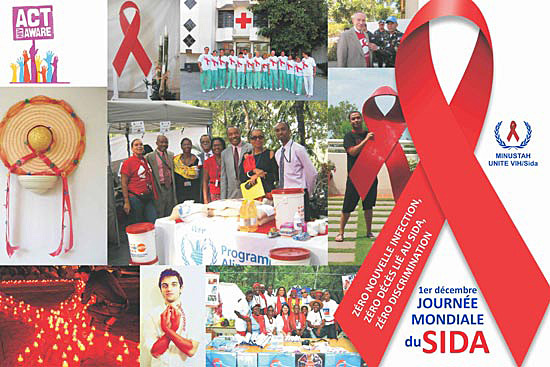 AIDS-related deaths have dropped by a quarter since 2005. Half the global reductions in new HIV infections in the last two years have been among new-born babies. I urge Member States to intensify their efforts to eliminate mother-to-child transmission, and to work to ensure all HIV-positive mothers can survive and thrive. I also urge stronger efforts to eliminate the stigma and discrimination that increase risk for vulnerable populations. The Report of the Global Commission on HIV and the Law: “Risks, Rights and Health” emphasizes how outmoded laws, misguided judiciary systems and punitive policing practices – based not on science but on fear and prejudice – fuel the epidemic. We must make information, testing and treatment available to all, so every man, woman and child can enjoy their fundamental right to the medical care and essential services that will end this devastating epidemic.